Benoy is delighted to announce that Hangzhou Tower 501 Plaza has celebrated its grand opening. Benoy was appointed as the Retail Interior Designer on the development which has prioritised exploration and diversity in its design. Set in the new commercial district of Hangzhou, China, Hangzhou Tower 501 brings together Commercial Offices, Retail and Residential. Spanning the lower six storeys, the 50,000m2 mall introduces a mix of Retail, Food and Beverage, Entertainment and Lifestyle stores. “The development was originally designed for office use but was later converted for the retail and commercial programme. We had to bring our repositioning experience to the project to help to transform the initial grid-like configuration into a space which would be successful for Retail,” said Simon Wong, Director at Benoy. As such, Benoy’s conceptual design has drawn on the idea of a ‘Jewel Box’. The design team used the nature of the space to create ‘A box within a box’ experience framed by strong lines throughout the interiors. In the Department Store, for example, boxes made of different materials and in different scales have been positioned across the floors to create points of interest within the retail setting. This simple design intervention uses a clean design language and forms showcase spaces which have been given over for tenant use. The installations frame the spaces and merchandise in clever and unique ways; such as the ‘Light box’ area (pictured top left). Moving upwards, the atrium surrounding the main escalator has been utilised as a merchandise gallery space. Glass shelving displays and reflective stainless-steel boxes line the open area, offering glimpses to the offers that await and a vibrant visual experience to visitors as they ascend through the mall. One of the main feature areas is the Children and Infants’ level within the Department Store which spans an entire floor. Drawing on the concept of nature, green hills, trees and small-scale colourful houses have been designed and installed across the different tenant areas. Promoting activity, fun and exploration, the area entertains and engages with children. The cashier desk, for example, mimics a large-scale piece of cheese, with crawling holes to encourage play. “We imagined the design of the Children’s area as a place where a wonderland meets Retail. The idea was to promote engagement and interaction and to set Hangzhou Tower 501 apart in the city. 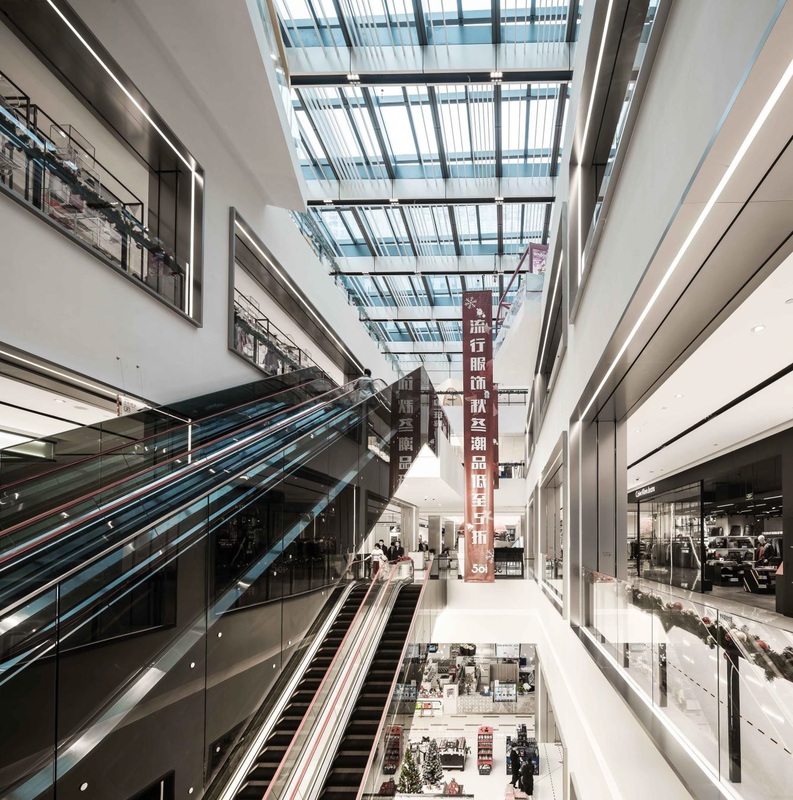 Designing for your audience is one of the keys to success in retail and this project shows how we’ve diversified and targeted our design to the end-user,” added Ping Zhu, Benoy Associate Director. Hangzhou Tower 501 Plaza adds to Benoy’s strong retail portfolio and is an exciting addition to the design firm’s growing collection of projects in East China. 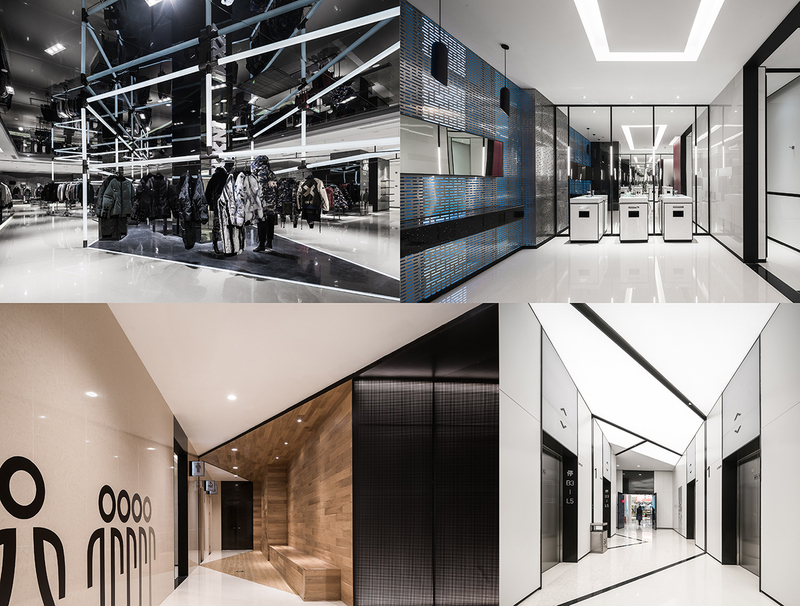 With its modern design approach and creative installations, the development aims to bring a new experience to Hangzhou’s retail scene.